Just in time for the holidays! 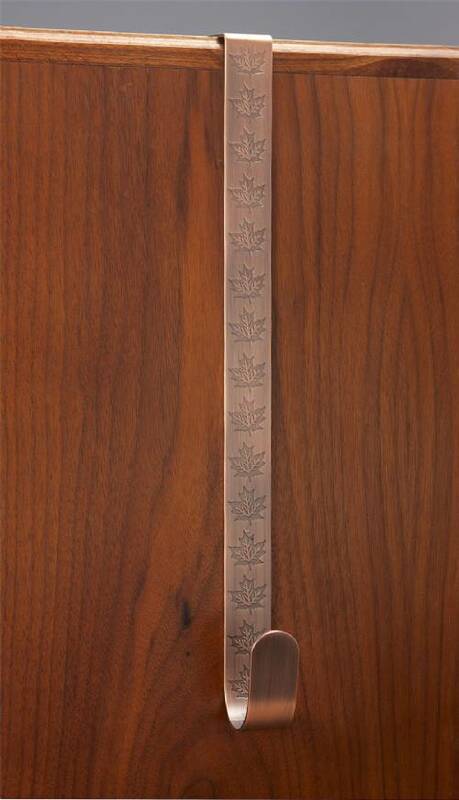 This finely finished wreath holder boasts a maple leaf design and comes in an antique copper finish. Hanger is 15" long and fits a 1 7/8" door. Perfect for showcasing your favorite wreath!